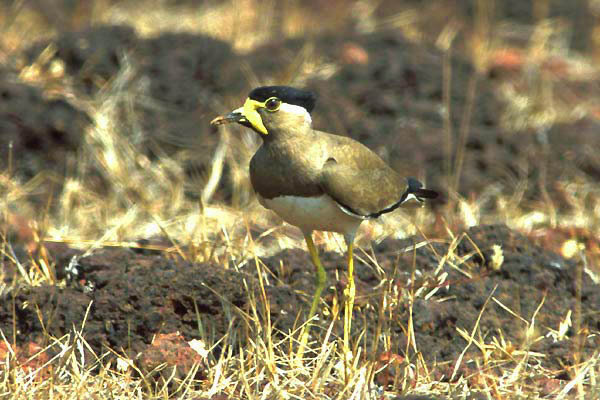 This plover is the only one restricted to the Indian subcontinent,and is generally found in smaller numbers and drier habitats than Red-wattled Lapwing, also common in India. We also found them to be more approachable than many lapwing species, as these photos, taken by stalking on foot, demonstrate. 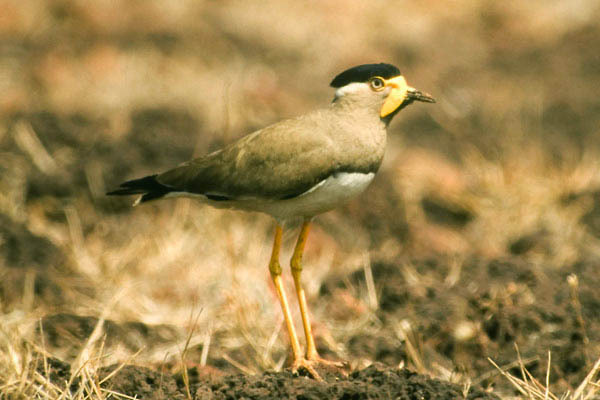 Not really migratory, but will move away from wetter areas and is only a dry-season visitor in some parts.